Beautiful cactus love pillow. 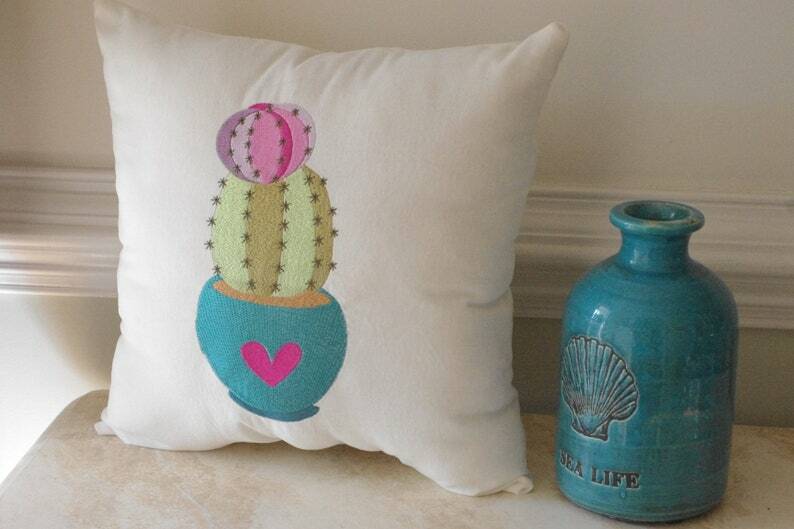 Embroidered on a soft and plush white fabric with fun tropical colors of turquoise, fuschia, and lime green. Beautiful for any coastal home or for your home decor. This pillow is 18"x18" and fill with polyfill. Little Beachcomber - Embroidered Pillow - Girl Shelling Starfish Pillow - 14" x 14"